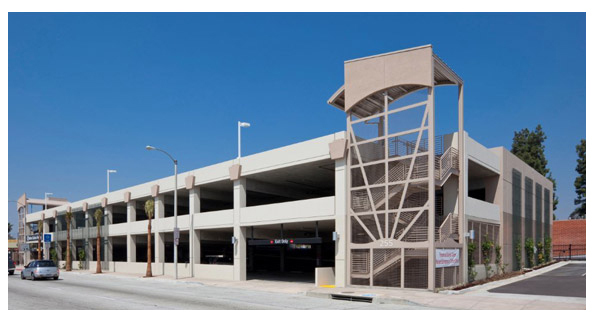 The Design/Build three-level, 261 car post-tensioned Park N Ride parking structure is unique in that the structure allows for easy modification in the future to take into account potential changes in the usage. An exterior ramp was constructed to the second level of the parking structure, which will allow for the potential partial or complete conversion of the first level into some retail in the future. Additionally, the design also allows a fourth level of parking being added in such a scenario.